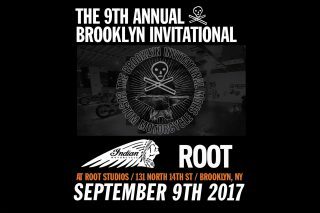 Three custom Indian Scout Bobbers are being built by Keino Cycles, Steve Caballero with Roland Sands Design and Kraus Motor Co.
Minneapolis, MN, July 26, 2017 – Indian Motorcycle is pleased to announce its title sponsorship of The Ninth Annual Brooklyn Invitational Custom Motorcycle Show held on 9 September 2017 in Brooklyn, New York. 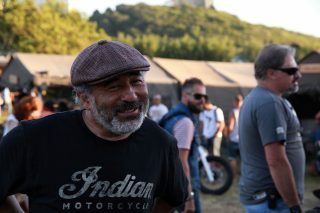 Along with its sponsorship, Indian will unveil three custom versions of the all-new Scout Bobber built by Keino Cycles, Kraus Motor Co. and skateboarding icon Steve Caballero in conjunction with Roland Sands Design. 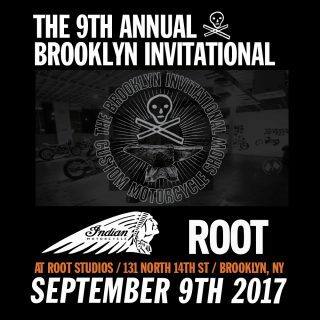 The all-new Scout Bobber was unveiled to the public during the X Games weekend in Indian’s hometown of Minneapolis. 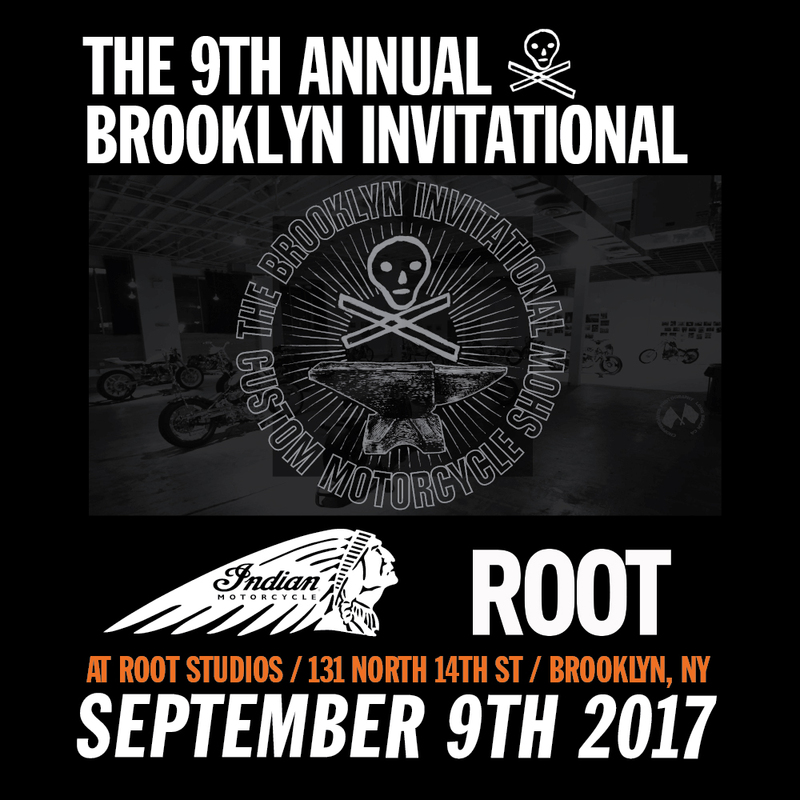 “Strip it down” was the mantra and inspiration Indian Motorcycle used when developing the latest model in its iconic Scout lineup. A low-slung, blacked-out, minimalist motorcycle that proves less is definitely more. 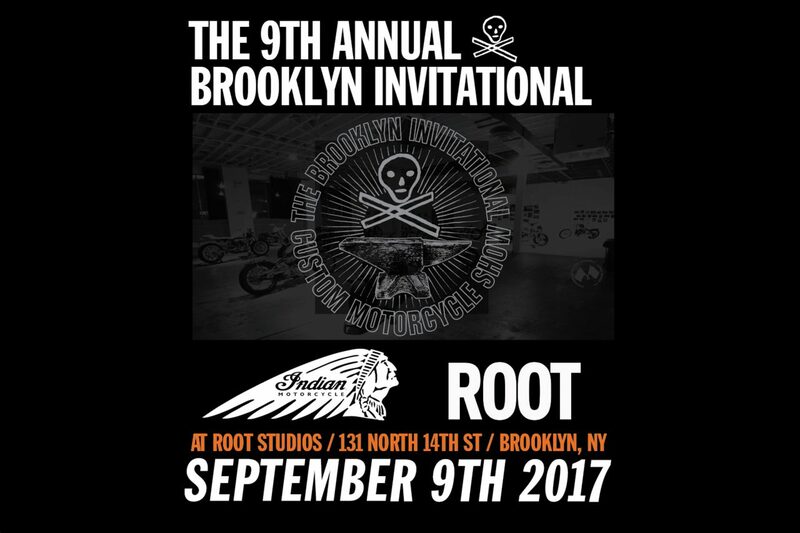 Indian specifically chose these three well-known customisers, because each brings a uniquely distinct vision and signature style; the end result being three totally unique custom interpretations of the Scout Bobber. Keino Sasaki and Satya Kraus carry long-standing reputations forged through years within the customisation and aftermarket industry. 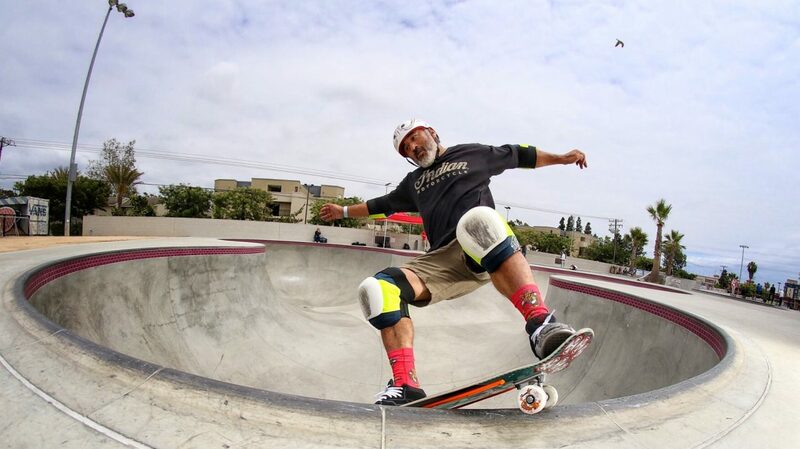 Meanwhile, skateboard icon Steve Caballero has seen his profile increase steadily within the motorcycle community thanks to his love for vintage American V-twins and his participation in festivals such as Wheels & Waves.